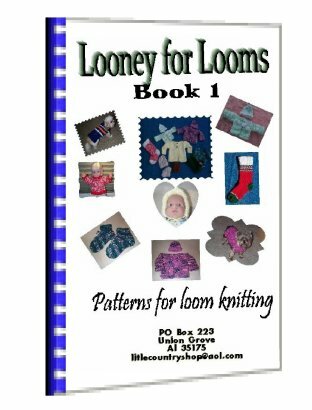 Thanks for ordering your copy of this fun ebook "Looney for Looms" I hope you enjoy knitting these patterns as much as I did in creating them. Just click on the link below to download your copy. It will come to you zipped and in pdf form. Please remember your credit card or bank statement will show a charge by ClickBank or CLKBANK*COM rather than a reference to your "Looney for Looms". Many that have ordered this ebook have also been interested in the my other patterns for knitting, and crochet. 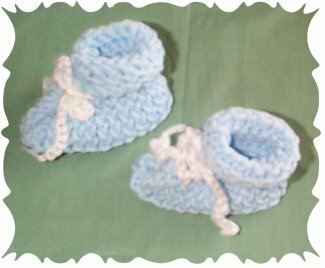 There are knitting patterns, knit doll clothes patterns and a new pair of loom knit booties. I will be adding to the pattern page regularly so you may want to book mark it.